Ian Brighton is a UK based guitarist who is known for playing improvised music between 1970's and 1990's, recently emerging from ‘retirement’ in 2013. 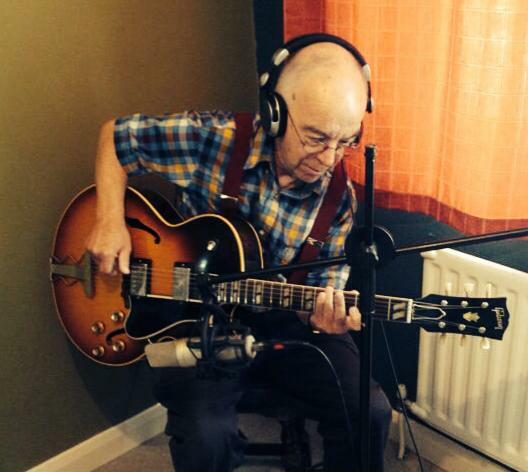 He was one of a group of musicians who were known as the ‘second generation’ of British free improvisers. 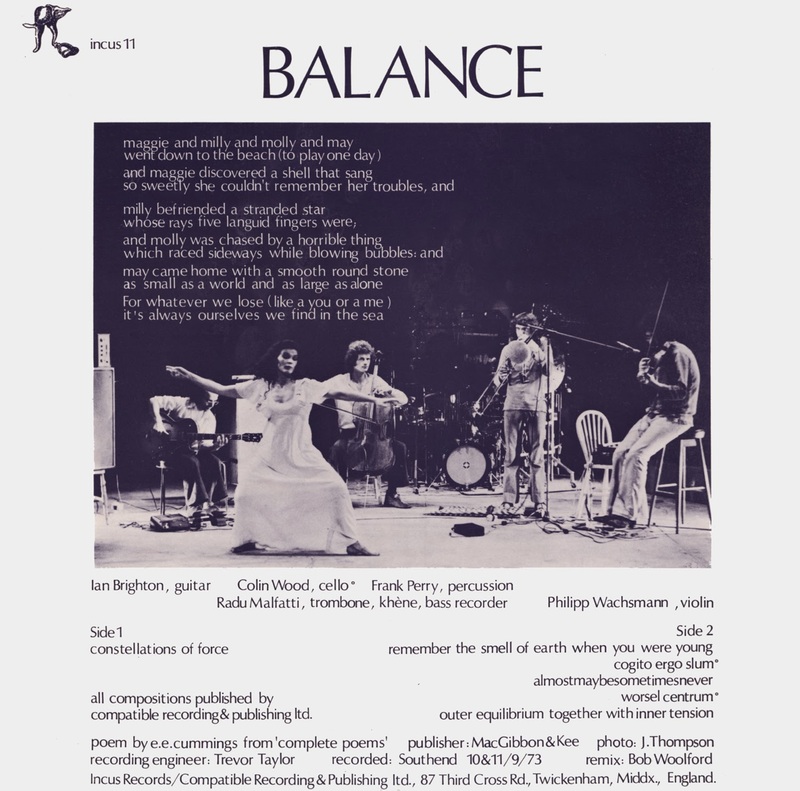 The first included, Derek Bailey, Evan Parker, John Stevens, Trevor Watts et al. 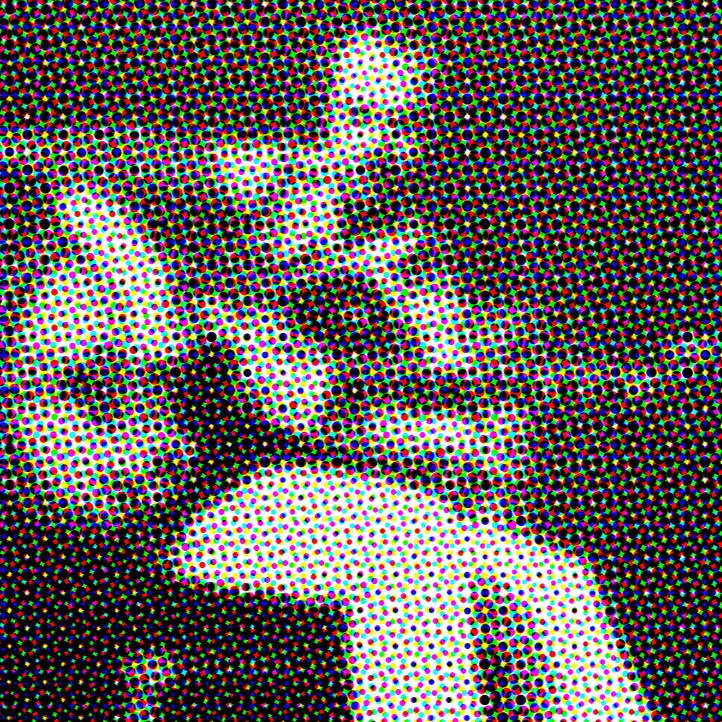 His introduction to this music was via Derek Bailey and, although heavily influenced by Bailey, he managed to establish himself as an improviser in his own right and was soon playing alongside his peers at the various venues around London. 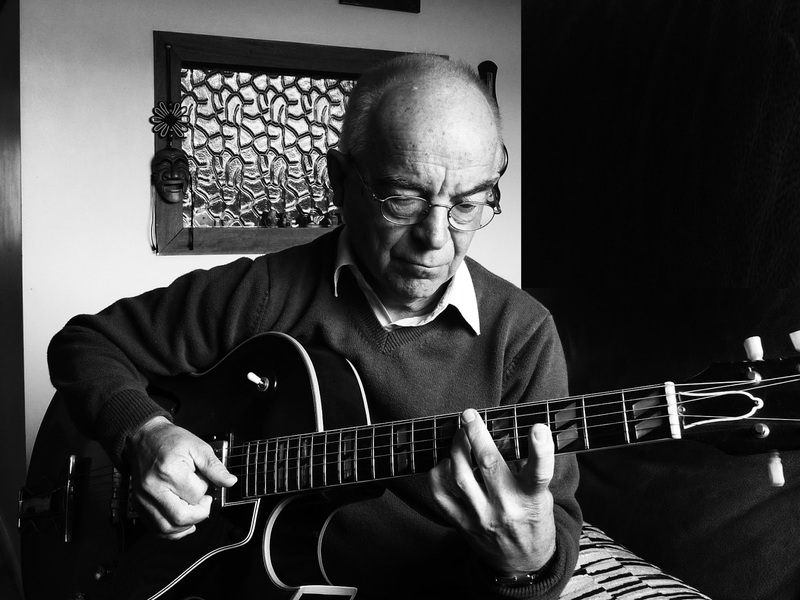 His contemporaries playing improvised music on the guitar included John Russell, David Toop and Pete Cusack: all different in their approach to the instrument. Initially reviewers likened his music to Baileys’, in terms of the shape of sounds, however later observed other aspects to his playing that were markedly different. It was these differences that other improvising musicians understood hence his involvement with many different groups over the years. His recorded work was sparse in comparison to other colleagues, however recently it has been acknowledged by some younger musicians that those recordings were, in part, seminal to their own development. At this time he was also pro-active by helping musicians to obtain financial grants for the performance of contemporary music and the musicians involved. Initially he sat on the Eastern Arts Music Panel to assist them in evaluating applications for grants for Jazz and Contemporary Music. Afterward he supported others by ensuring that there was a nominated music organisation recognised by the music panels so that funding could be properly appropriated. 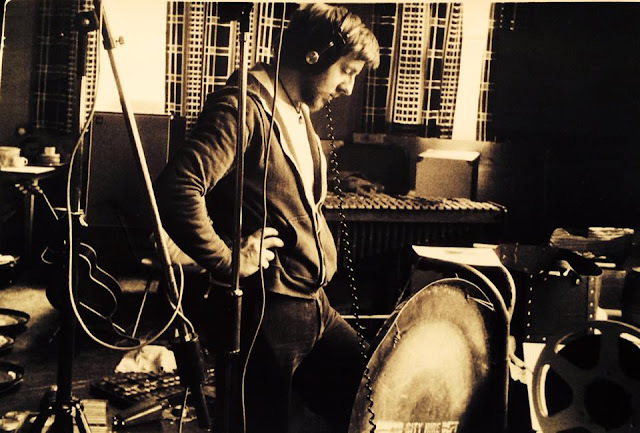 In London he helped to form New Music Formation with Philipp Wachsmann and in Essex formed New Phonics Now that enabled concerts to be staged at the Cambridge College of Art and Technology. Prior to his involvement in improvised music he had been playing with different jazz and blues groups in his local area. 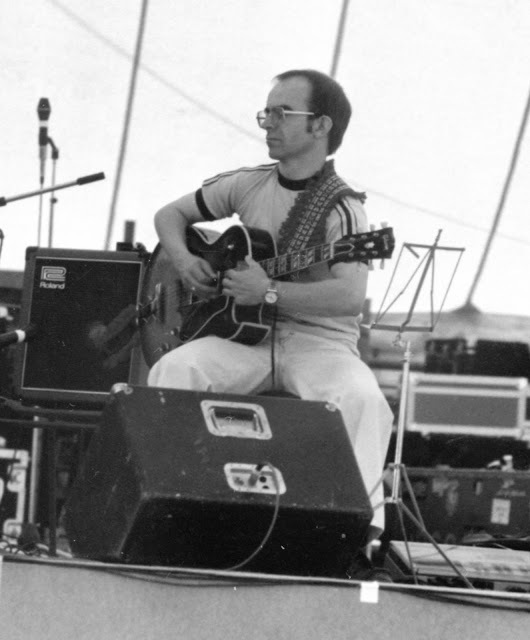 After about six months of formal guitar tuition with Derek Bailey he expressed an interest in his music and was invited to an ISKRA 1903 gig featuring Paul Rutherford, Barry Guy and Derek. Overawed by what he had heard, the weekly guitar lessons gradually became a session of question and answers on improvised music. At this point Derek suggested that if he wanted to get involved in this music the formal tuition should stop and invited him to his house where they could talk about improvisation and its various aspects. 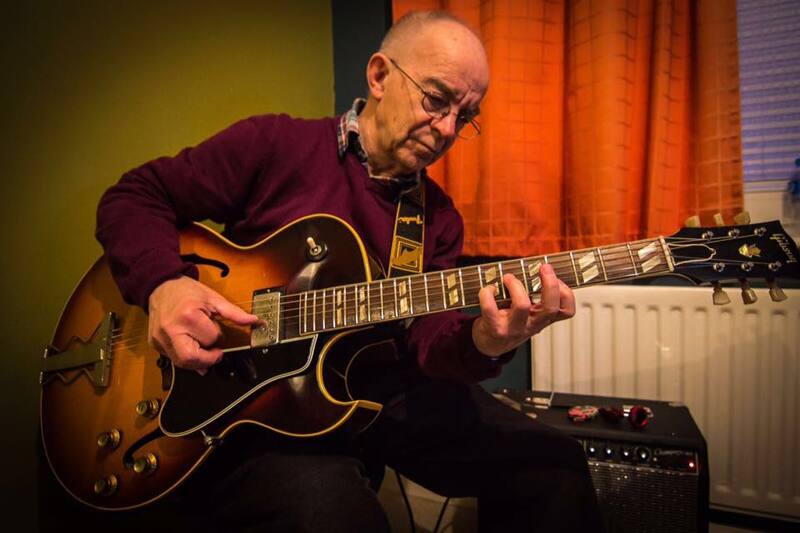 At first he started improvising with percussionist Trevor Taylor at Trevor’s studio in Southend and was later joined by clarinettist Dave Long and singer Carolann Nichols, who had previously played with John Stevens. Together they became CIM and developed a group language in the style of Klangfarben melody; small sounds from each improviser working to create one voice. 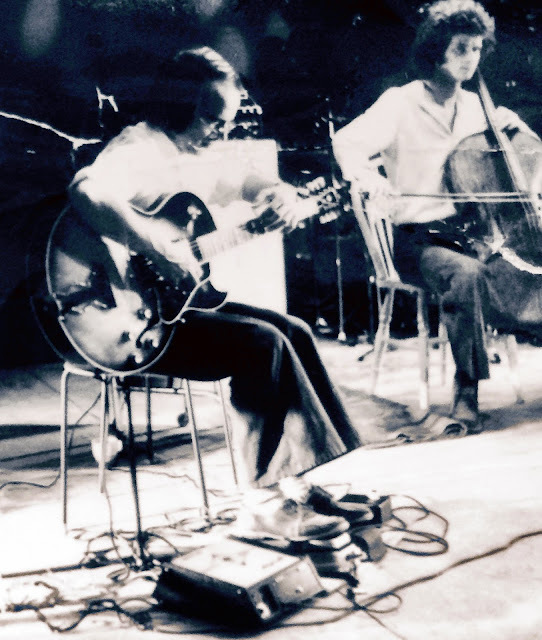 With CIM he performed at the Round House, as part of the International Carnival of Experimental Sound (ICES 72), Imperial College with Derek Bailey and Gentle Fire and at Ronnie Scott’s Club, as part of Musicians Co-Operative Gig among others. In parallel with his activity in CIM, Derek introduced him to other improvisers including, Evan Parker, John Stevens, Trevor Watts, Frank Perry, David Toop, Paul Burwell, Colin Wood, Radu Malfatti etc., mostly at the Little Theatre Club. 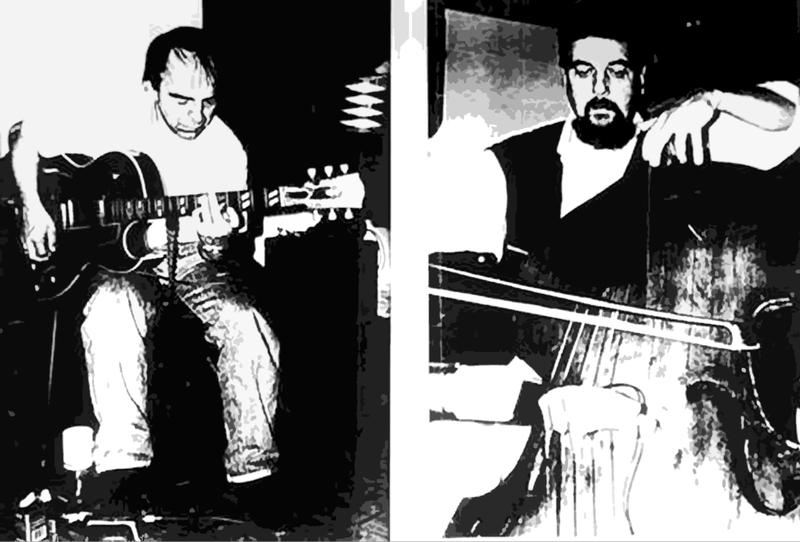 With Evan Parker and Paul Lytton he became part of Evan’s Prototype for an Improvisers Orchestra and with John Stevens and Trevor Watts became part of SME. With Frank Perry (percussion) he formed the group Balance that also included Philipp Wachsmann (violin), Radu Malfatti (trombone) and Colin Wood (cello). 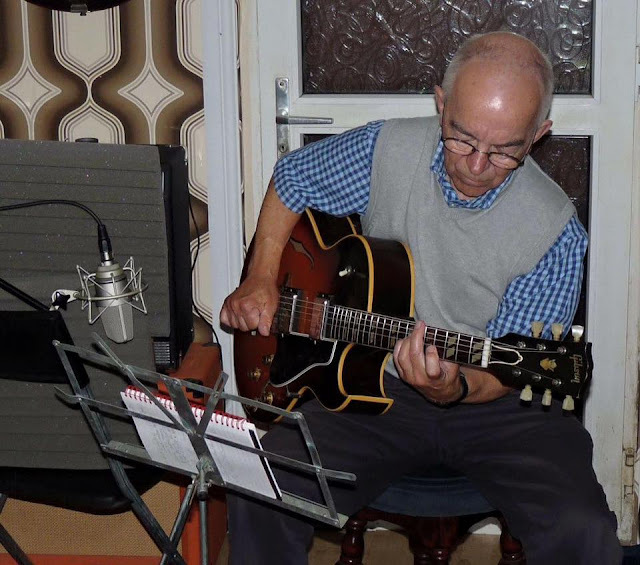 They started out in 1973 as a guitar/ percussion duo playing at Frank’s Flat in North London and gradually over the next few months others joined after Derek introduced them to Frank and Ian at the Little Theatre Club. Last to join was Philipp Wachsmann who met the rest of the group at the London Dance Academy where he had been working with dancer Shelly Lee. The group’s gig was a weeklong series of concerts at the Cambridge College of Art and Technology in an event known as ‘Summer Celebration’. It featured traditional music and dance in the first half and in the second, improvisation and dance by Balance. The following Sunday pianist Keith Tippet had to pull out of the forthcoming Musicians Co-operative concert and Derek got it touch with Frank and offered the group the gig. When Derek heard them playing he decided that the music should be recorded on Incus as soon as possible, as he thought the music should be captured before the group disbands as, in his view, there were too many strong characters to sustain it. 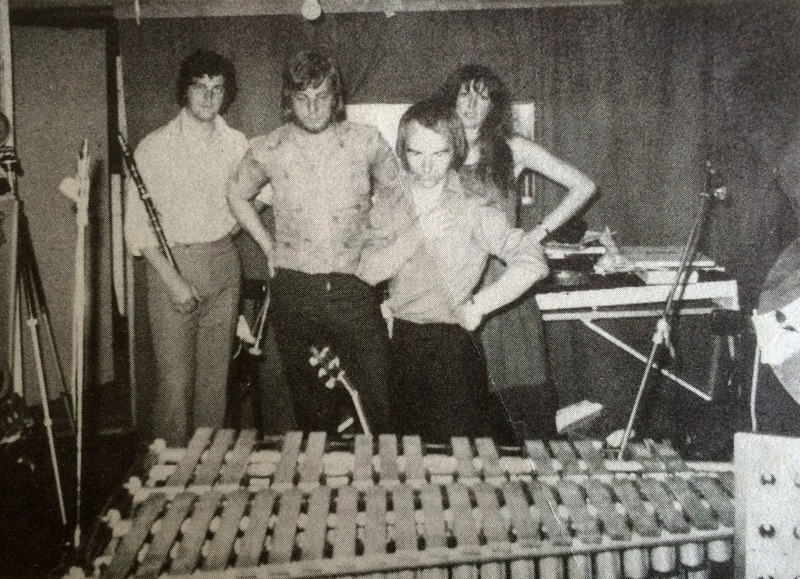 In 1974 with percussionist Trevor Taylor, Ian formed the Alternative Music Orchestra (AMO), as an experiment for large-scale free improvisation. The idea was conceived after seeing Barry Guy’s London Jazz Composers Orchestra perform at Ronnie Scott’s Club who played to a scored framework. 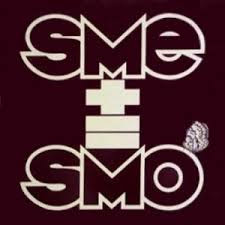 The primary objective of the AMO was to see if a large number of improvisers could play together without a framework, yet still have the discipline to improvise freely while respecting the contributions from those around them. The highlight of the AMO was a concert, promoted by the Jazz Centre Society held at the ICA in Pall Mall London. On the night there was a surprisingly a mixed audience; some, expecting a more formal occasion in dress suits, while others attendees were more casual. When the musicians arrived, they arranged themselves in a social semicircle, whereby they sat next to their regular playing friends or with people with whom had previously played. The result of this social interlocking was a spectacular sound that moved from the whole orchestra playing at one time, to a soloist or a duo or trio and then back again in such a ‘disciplined’ manner the effect was astounding; all without a score of music. Unfortunately, after a few more gigs the AMO could not be sustained due to the lack of financial support and suitable venues in which to perform. In 1975, John Stevens asked him to join a ten-piece SME alongside Evan Parker, Trevor Watts, Derek Bailey, Marcio Mattos, Lindsey Cooper, Roger Smith and others. After a few gigs they were recorded in concert at St Johns, Smith Square, London. At this concert Stevens augmented SME with his students to form SMO. He recalls that when playing in the ten piece SME there was a certain discipline, as being experienced improvisers they had the empathy to know when to start and stop playing. However when the students started to play this discipline was not present, for although they were contributing to the overall improvisations, they did not have the collective understanding as to when the improvisation should finish. As a consequence, it became a very interesting but quite a lengthy piece of music. The album was originally issued on A Records in 1975 and more recently, re-released by Martin Davidson as an Emanem CD. 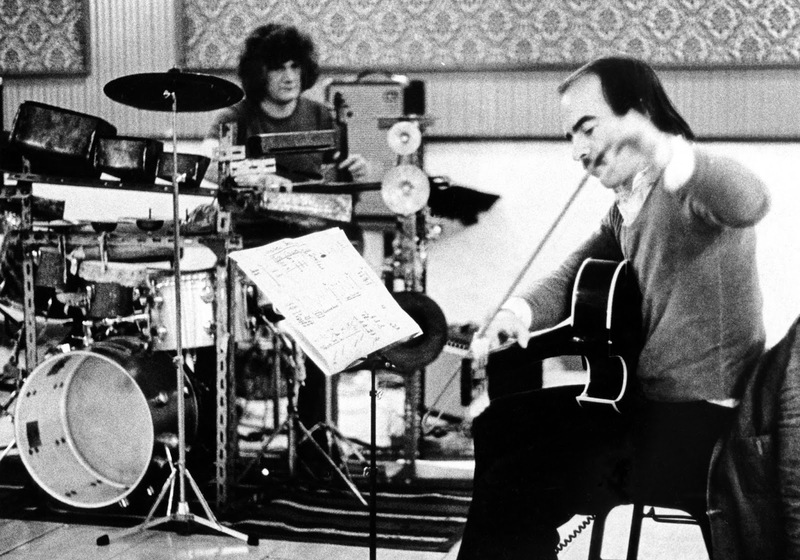 It exists as one of the most intriguing recordings of large-scale improvisation ever recorded. 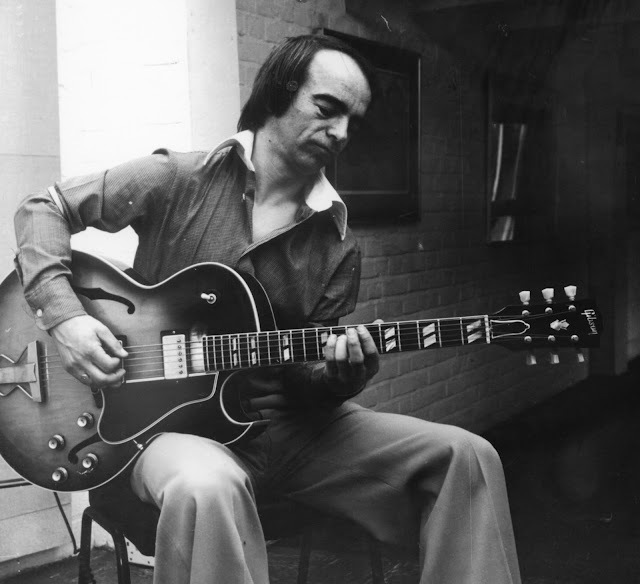 By 1976 he was part of the Tony Oxley quartet that included Howard Riley and Philipp Wachsmann, who performed that year at the Hamburg Jazz festival. He was also involved in performances Oxley made with the artist and musician Alan Davie. This group had a completely different dynamic, which is evident on Tony Oxley’s album February Papers (Incus 18) recorded the following year. In 1977 he recorded his first solo album, Marsh Gas for BEAD, another independent music label specialising in improvised music. The recording was made possible by an Arts Council grant, based upon an idea he submitted in order to introduce improvised music to children, as they could accept freer sounds more easily than adults. The album contained a short ‘Tolkien like’ story that could be read to children while improvised music was being played. He had previously seen this performed when the late Australian composer Barry Anderson put on a concert of contemporary improvised music while a narrator read a Polynesian folk tale called the Sun Tamer to a group of 40 children. They had contributed to the performance by making different sounds, as the story was being told. He decided that he would approach the junior school, where his children were in attendance put on a similar performance. The teachers and children were very receptive also contributing to the performance by playing various basic instruments. They were totally impervious to the improvised music being played by focussing on the story being told and adding to the improvised sound. It proved to Ian, that children of a young age can readily accept different sounds in music and it is only when they are older that they are subject to conditioning. 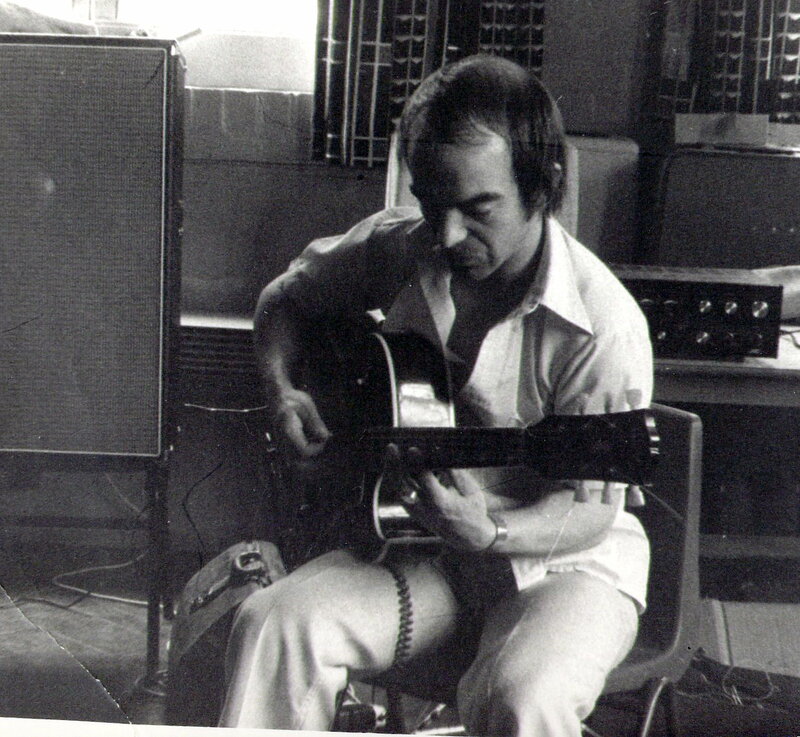 Although Marsh Gas was his own project, there were only two solo guitar improvisations on the album. The rest, were either duets with Marcio Mattos and Radu Malfatti, an acoustic trio with Roger Smith (guitar) and Phillip Wachsmann (violin) or a quartet with Wachsmann, Mattos and Malfatti; all recorded at the West Square Music Studio. The only exception was a track entitled ‘The Chapel of Splintered Glass’ recorded in Chelmsford Cathedral. This track, a tribute to his late grandfather Mr A W Brighton, a noted campanologist in the early part of the 20th century, featured himself, alto player Jim Livesey and a group of traditional hand bell ringers called The Sound in Brass. 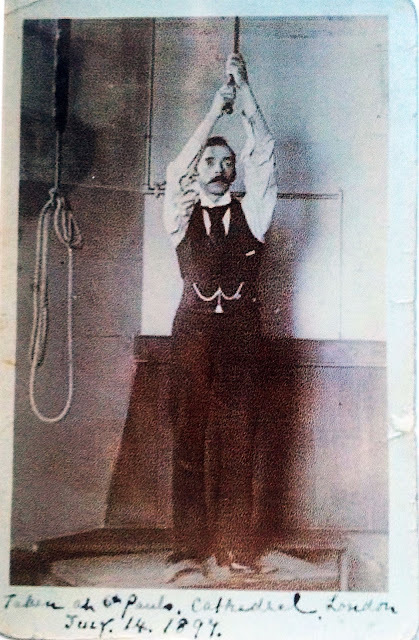 A graphical score was provided to the hand bell ringers so that they could generate a shape of sound using the natural acoustics of echo and delay. This enabled the guitar and alto to weave in and out of the layered sound as it hung in the air. The album had some excellent reviews including one from Steve Lake of the Melody Maker who when making comparisons between his and Derek’s work stated that “ …he had suffered unduly from any comparisons and that any resemblance is purely superficial… and “any similarities in technique lead to almost contrasting results”. He also stated that his “plucking had an elegiac quality” and in his view that “Marsh Gas appears to scrupulously avoid the obvious, the rhetorical and the overstated; its discretion affords much simple enjoyment”. A major influence on his playing in the late 70’s was the legendary and much missed saxophonist Lol Coxhill. 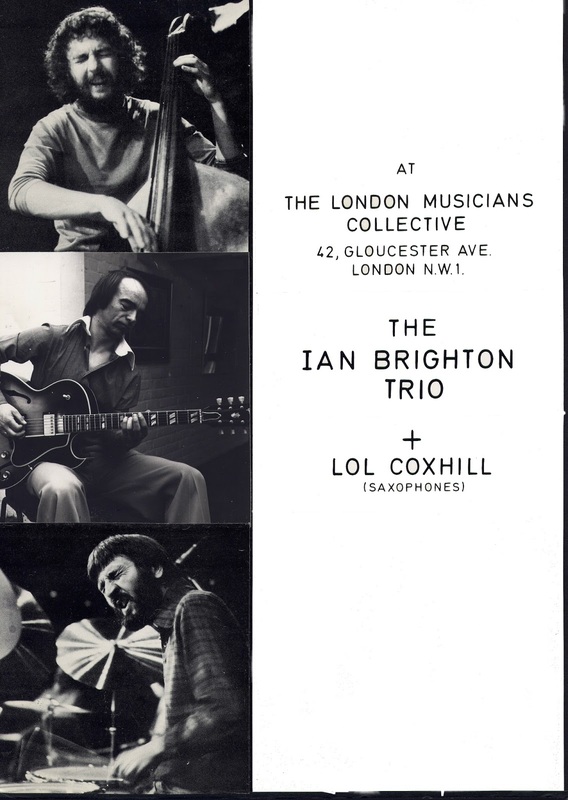 Following an initial invitation by Lol to perform at the Digswell House series of concerts, he started to work with him on many gigs, including the Bracknell Jazz Festivals of 1979 and 1980. Working fairly regularly together he found playing with Lol a pleasure and an immense challenge. When Lol played, the music moved through so many musical areas and forms Ian needed to find ways to compliment, contrast and contribute to the overall performance while retaining his own improvisation. This diversity in improvisation led him to form the trio Loose Change, with Eddie Prevost (drums) and Marcio Mattos (double bass). They would regularly play with Lol Coxhill or Larry Stabbins (soprano saxophone), latterly of Loose Tubes, who understood the idiom. The music had more of a European ‘Free Jazz’ feel to it, than the almost classic ‘listen and contribute’ format. majority of his time was spent playing with his oldest group of friends namely, Marcio Mattos, Trevor Taylor and Philipp Wachsmann. 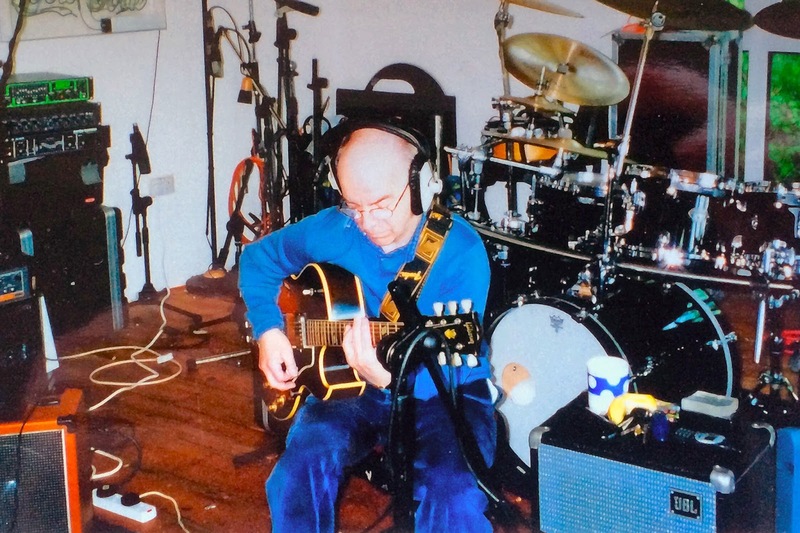 He played with Marcio and Philipp on a weekly basis mostly at West Square Music studio in South London, where previously he recorded the Marsh Gas album, and later with them, formed the trio BM&W. 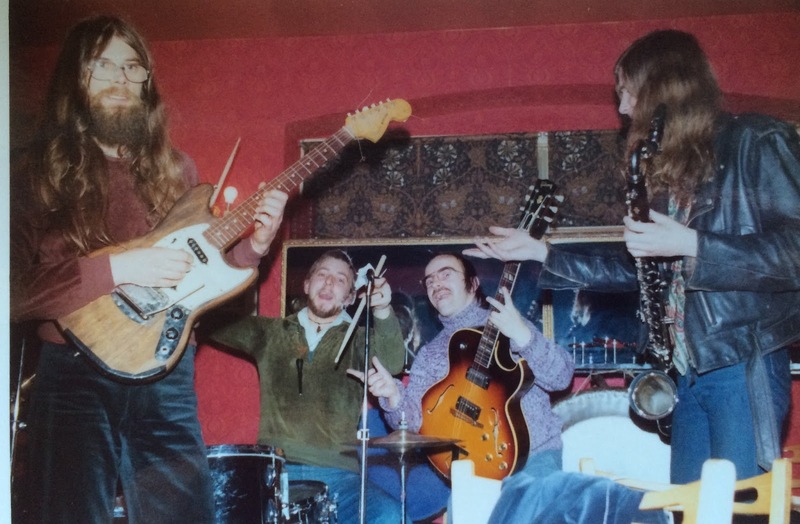 When percussionist Trevor Taylor joined, they became initially BM&W + TT and later, String Thing. They performed mostly at London venues including a concert at the Purcell Room on the South Bank sponsored by the Jazz Centre Society. Bizarrely they were also televised in a regional TV programme in between a folk singer and a choir. 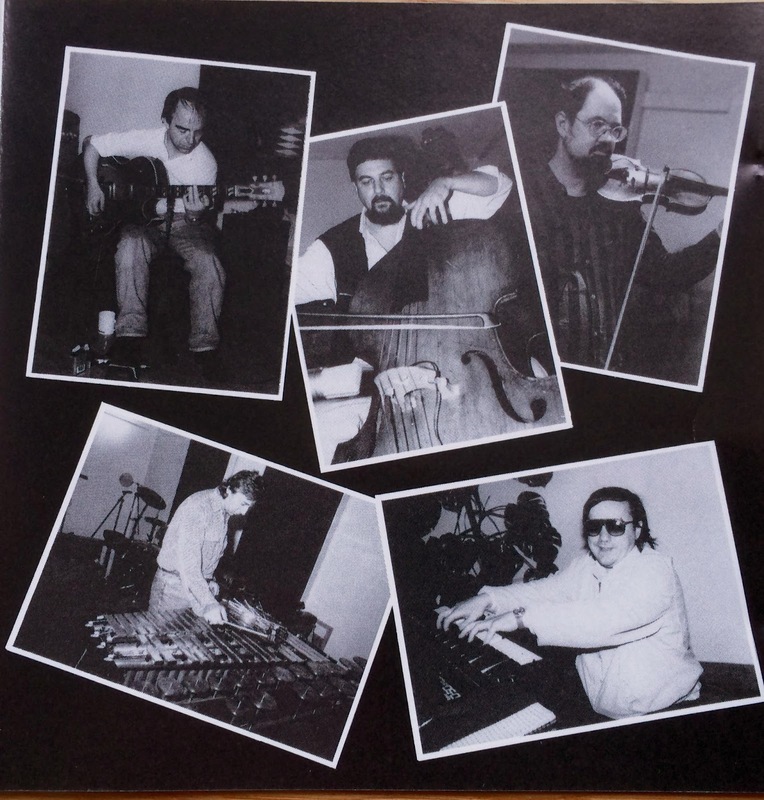 Over the years that followed, the group would meet regularly and in 1989 Trevor Taylor recorded and released the album Eleven Years from Yesterday (FMR 001). This recording had included the late and exceptionally gifted pianist Peter Jacobsen. In 1990 he had to stop playing as his work took him overseas and thereafter, only played publicly on a few occasions however continued to play privately maintaining and developing his improvisations on the instrument. When he retired in 2009 he got in touch with a few old friends who encouraged him to started playing. He finally ‘emerged’ publicly, so to speak, in 2013 when Tony Oxley asked him if he would like to be part of his 75th birthday celebration album. The recordings Oxley used, were from previously unreleased pieces of music produced from sessions of his favourite recordings. 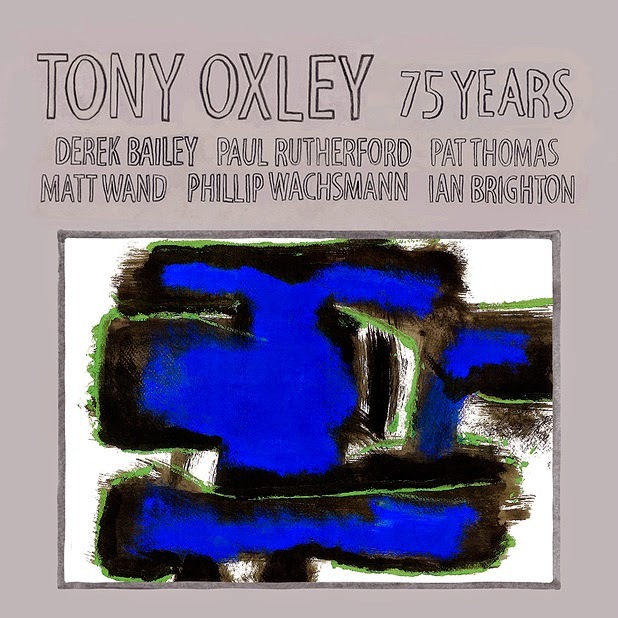 On the CD, Incus 63 entitled ‘Tony Oxley 75 years’ he is featured with Philipp Wachsmann and Oxley on a track called ‘Earth Sounds’, a very electric and dense improvisation. Following the release of this recording, he was subject to some interest about his work. He began to receive enquires, from other musicians and people who liked his music, as to when he was going to record again in his own right. Realising that it would be difficult to start gigging, he decided to start recording and gradually release improvised music tracks on Soundcloud. In 2014 on his 70th birthday he released ‘A Voice you left behind’, a tribute to his late friend and mentor Derek Bailey. 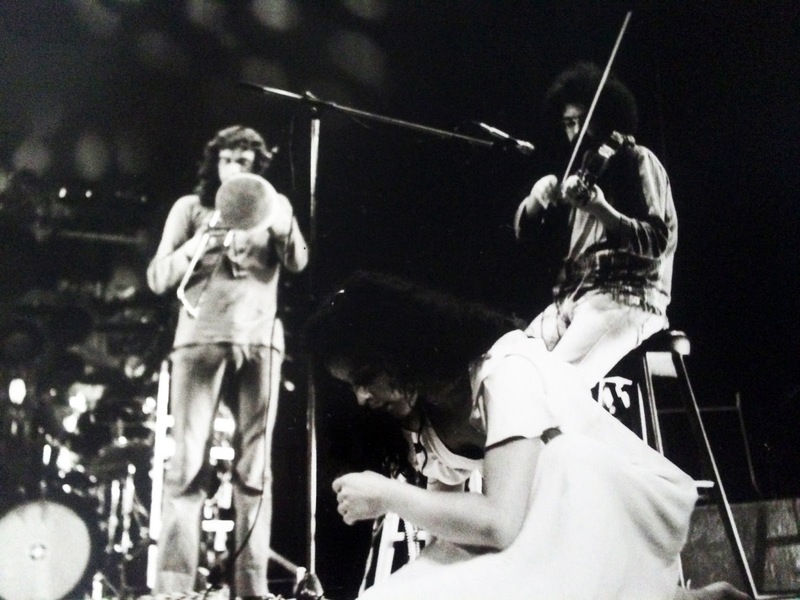 Although he never tried to copy Derek as such, as the physical differences and the way they play are completely different, he acknowledges that Derek was an inspiration, as a musician and a friend, and if it hadn’t been for him, he might never have involved in this form of improvisation. The track starts with Derek talking in an extract from a recorded interview with the journalist and broadcaster Brian Morton. This extract has been used with his, and Karen Brookman Bailey’s kind permission. Following the placement of this Soundcloud link to many web sites a lot of interest was generated. So much so that he has recorded further improvisations, which are due to be released on Confront Recordings on a CD to be entitled ‘Now and Then’. I suppose the biggest surprise is that people are still trying to purchase my Marsh Gas album that was released on the Bead label in 1977 and they are still listening to it. I have spoken to many people and they all want to know when I will be recording again. Well, I am pleased to say that I have just finished recording a set of improvisations that will hopefully be released on Mark Wastell’s Confront Recordings label. The CD is called ‘Now and Then’. Developing some kind of technique is essential if you want to express music in the way you want to play. For a guitarist it does not have to a ‘classic’ technique, if you do not want to play music in that way. However, for an improvising musician it does have to be relevant and repeatable, in the development of your own musical language. Therefore, a sense of discipline is required in order to develop individual voicing’s, that when used in various combinations, produce the overall improvisation. For some, learning the instrument in a structured way is essential for their development, as they will have developed techniques on it that, for them, may be necessary for the sort of music they want to play. I found that a thorough understanding of traditional playing was necessary to develop the kind of sound clusters that I use in my improvisation e.g. the use of intervals of consonance and dissonance, as an example. With respect to improvisation, the quality I admire the most in a fellow player is the ability to really listen and know when, where and what to contribute to the overall music being produced. 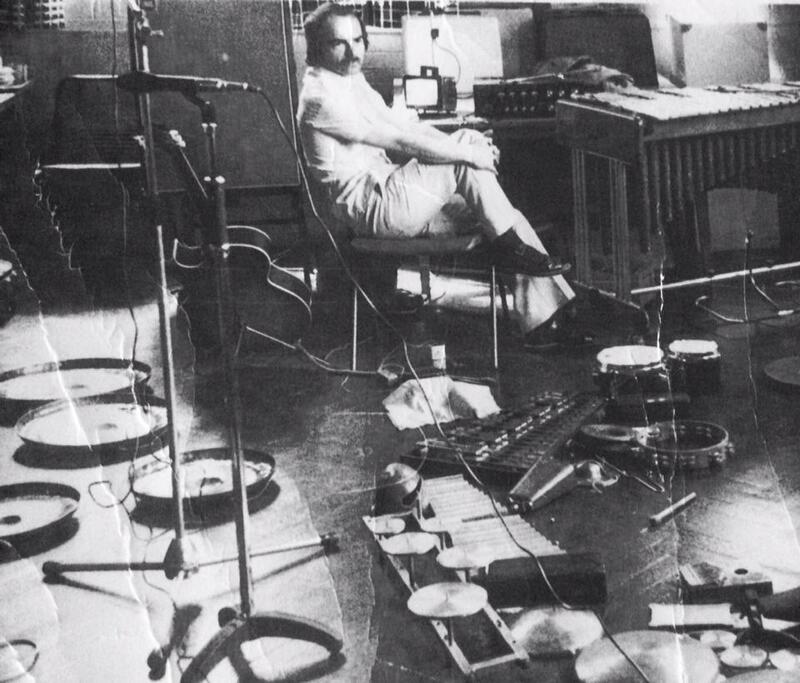 In improvisation I tend to work with other musicians that use a klangfarben approach i.e. small sounds in a question and answer style. Sometime you are paired up with a musician who plays continuously and the options are either to play like them or to weave in and out of his sound; I always favour the latter, playing a bit like a side man. When I was sixteen the motivation was the desire to perform, to be up on the stage and playing in front of an audience rather than being part of it. Prior to playing music I had been involved as an amateur actor in dramatic productions of plays such as The Birthday Party by Harold Pinter. 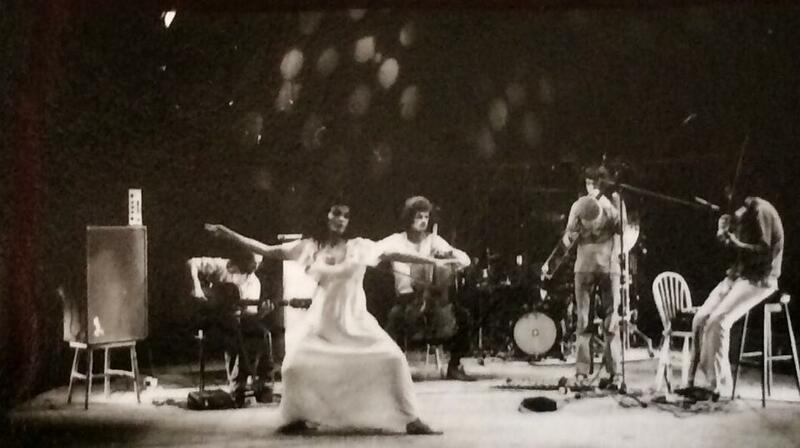 I wanted to carry this excitement of performing in front of an audience into music. To do this I needed to learn to play an instrument and chose the drums. As a drummer my motivation to play, was to support the team band by providing the rhythms necessary to underpin the melody. I liked the idea of playing solos, as the motivation was that of an extrovert, in a sense, to show off. However first I needed to acquire the skills and started taking professional drum lessons. At the age of 22 I was advised by medical specialists to take up another instrument that was less strenuous. I walked into the local music shop, saw a second hand cherry red Gibson 335 hanging on the wall and negotiated a swap for my drum kit. My motivation then was to get back into performance as quickly as possible. I studied the basics of the guitar and by trial and error learnt to play it until I got to a certain level of confidence. I started sitting in with other people in local blues and folk groups. I graduated to playing with blues orientated jazz groups learning techniques from fellow musicians. Playing the guitar was different from the drums, in that the motivation for playing, although the same for performance aspect, varied by moving from an accompanist to taking the lead role. After a few years I was not satisfied with the way I was playing, as I felt that I had some limitations in technique and ability and needed professional guidance. That was when I started taking improver lessons from Derek Bailey who then became my major influence on the instrument. Over the last 45 years my motivations for playing are associated with the creation and development of my own musical language on the instrument. The performance aspect over recent years has been less important as there are fewer opportunities available for me to play. Today my motivation for playing is to strive to create improvisations on the guitar that do not sound like the last one. This is a difficult one to answer. To be truthful, I suppose that before I started playing the guitar, my best musical experience was sitting in the front row at Ronnie Scott’s Club on its opening night watching the Buddy Rich big band lift the roof off with its driving music; an incredible night. 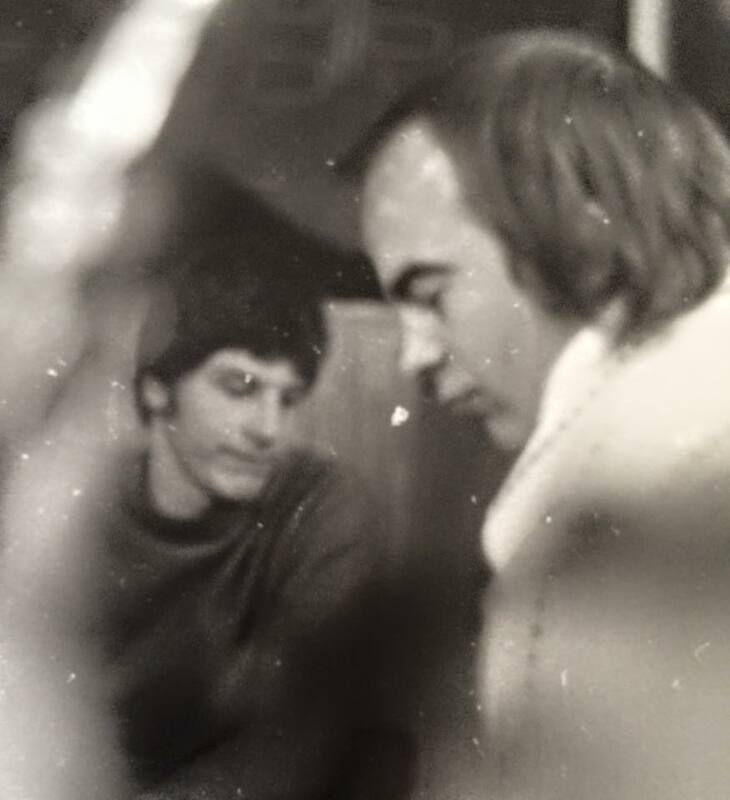 Another would be a few years later performing at the same club playing on the same gig with Derek Bailey. However overall, I think the best musical experience occurred when I was part of the Tony Oxley group playing alongside Howard Riley and Philipp Wachsmann at the 1976 Hamburg Jazz Festival. When we arrived at Onkel Po’s club I was having difficulty with my amplifier and I was lent a Stramp one by the club owner; it had so much power. When we started to play the sounds that came out of that amplifier were incredible and the improvisations created by the group were loud, highly electric and interactive, with electric scratching squeaking and scraping from the violin and the guitar intermingled with the thrashing of acoustic and electronic sound from Oxley’s kit punctuated by the clear crystal sound of Howard Riley’s piano. The gig was topped off the next morning when arriving last into the breakfast room I discovered Elvin Jones, his wife and some of his band having breakfast with Tony Oxley and Howard Riley. I could not believe my eyes although Tony had previously told me that he had taken the drum chair of Elvin’s group when Elvin had once been taken ill when in London. 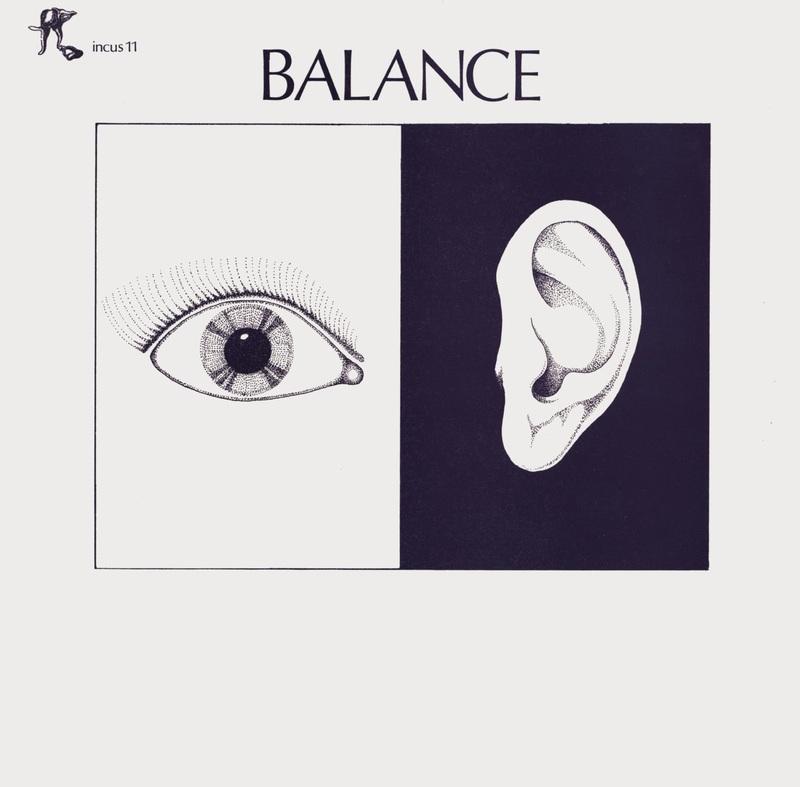 I sat down and started chatting to the musician’s when one of them surprised me by telling me that he had a copy of Balance bought from a music store in LA; unbelievable and amazing. Also in the room was the Hungarian guitarist Atilla Zoller who talked to me at length about his music and influences. The whole weekend was surreal and unforgettable. 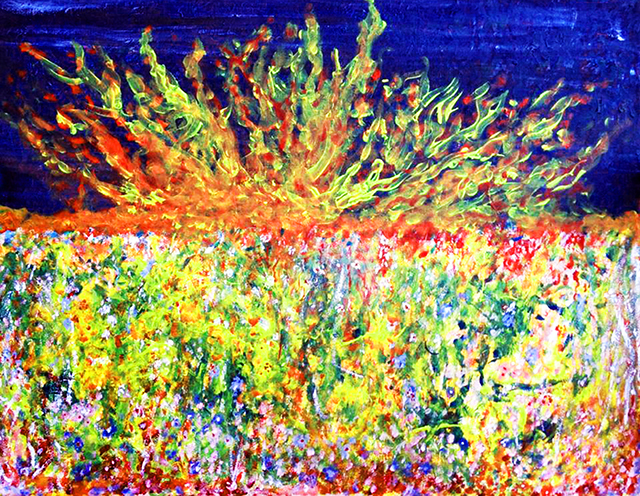 Popular Music I suppose, for in the early 1960's I was very interested in instrumental groups such as The Shadows especially the sound of the drums as they became my first instrument. I remember that I lost their first LP at a party and the only one left the next morning was an album called ‘Drum Crazy’ featuring the music of Gene Krupa who was known for his playing with Benny Goodman. 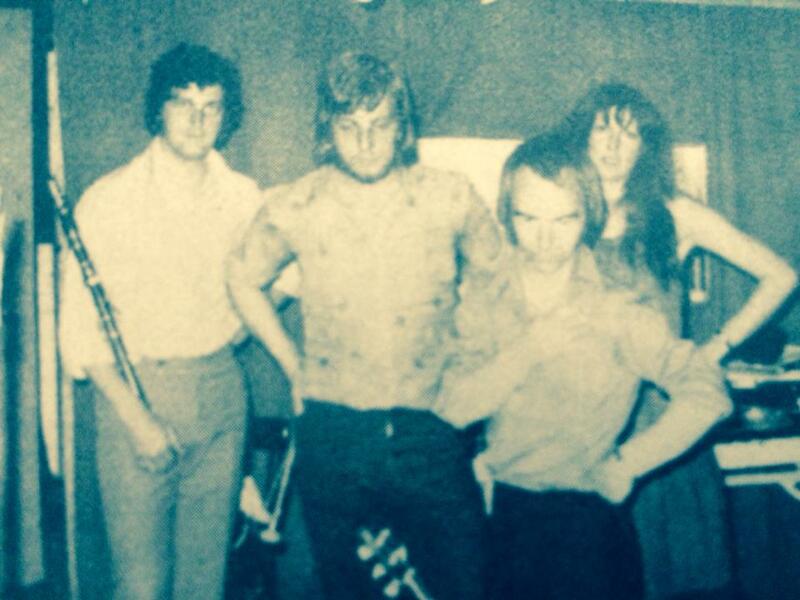 That was the start of my involvement with music in an active role; playing drums in rock and jazz groups. Later I switched to the guitar, as I loved the music of B.B. King and wanted to play like him. 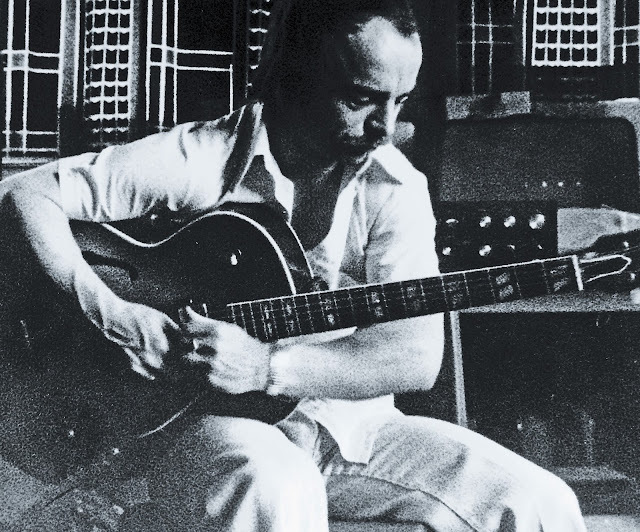 His music was the springboard to other guitar music until I started free form improvisation, which is not really free because it has to be composed with certain disciplines involved. Jazz Progressions: John Abercrombie, Ralph Towner, Constellations of Force by Ian Brighton, Saheb Sarbib and Jorge Lima Barreto, Philip Catherine, Jasper Van't Hof and Charlie Mariano. 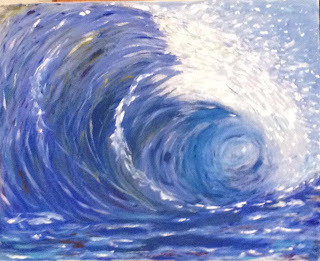 Paintings in videos are from Ian Brighton's hand. My non-musical roots mostly involved my family. My grandfather, a Mr A.W Brighton was a relatively famous campanologist, who in the early part of the 20th century set up various peal records for his own compositions as well as being in a select group known as the Ancient Society of College Youths who rang the bells for the Coronation of Edward VII at Westminster. He was a true eccentric; and was an early pioneer of wireless radio who met Marconi on his travels to the Isle of Wight, where the first Atlantic broadcasts were made. He also played seven different instruments to a reasonable standard as well as carving and building model yachts that used to be sailed on the boating lakes of Wanstead Park in Essex, England. My father was also slightly eccentric, but not to the same depth, as he enjoyed playing his ukulele and piano in pubs when he was young and I suppose to an extent I have followed in that tradition in playing and performance. My youngest son Paul is much the same through music he creates. It is far different from mine, however the same creative process is there when he samples all varieties of sound and creates multi tracks using software such as Pro Tools. He has recorded all my work and created the framework of some of the improvisations. Also using live electronics from his sound modules we have been able to improvised together on a couple of tracks. My father once told me that above all, be honest, work hard, respect others and always be yourself. Derek Bailey, who was more of a mentor and friend than my guitar teacher, told me to explore the guitar as if I had never seen it before and catalogue every sound. Explore the intervals and sounds of the strings plucked, pulled and scrabbled over and the sound of the instruments body. I pointed out to him that my hands were small compared to his and I could not possibly play like him. He told me that was unimportant and that I should use my capabilities to explore the instrument; and that is what I did heeding both his and my father’s advice. My main instrument is a 1964 Gibson ES175D made in Kalamazoo Michigan at the original Gibson factory. I use it in co-ordination a De Armond volume pedal I modified by replacing the standard volume control with a light dependent resistor (LDR). This ensures that the guitar signal passing through is not affected by noise that naturally occurs when volume controls start to wear out. The result is a fractionally delayed signal from the guitar that I utilize that is particularly helpful when hitting harmonics in fingerboard locations where the normal extraction of the sound would be lost in the volume of the attack to the string. I do not use any electronic effects directly with the instrument, although in 1973, when I was playing in Balance with Frank Perry et al I occasionally used to amplify my guitar stereophonically, with one channel straight guitar, and in the other I would experiment with modified sound. I would use either, electronic boxes that I had developed at work, for I was an electronic engineer at the time, or purpose built boxes, such as an octave multipliers, that were commercially available. However that did not last too long as there were always problems with connections and the electronics. 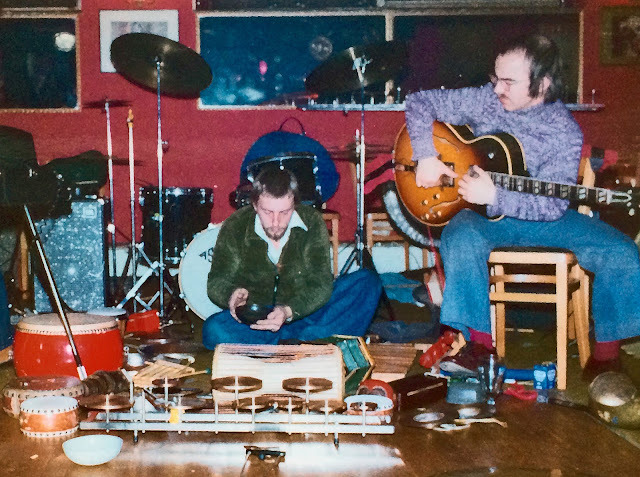 During a concert playing with Tony Oxley, Philipp Wachsmann and Scottish artist and musician Alan Davie, the electronics were so problematical that I spent the majority of my time on the stage with a soldering iron, rather than playing the guitar. 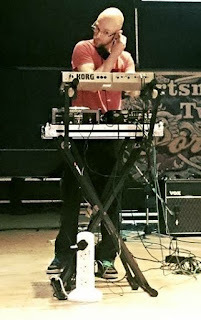 Thereafter, I reverted to playing stereo, without the electronics, using a single sound source i.e. the guitar. As I was using twin De Armond foot pedals, I could easily move the sound around, left or right and reverse etc., however that too became problematical as I was using a quadrophonic amplifier and two very heavy JB Lancing 12 inch speakers. I decided, that after several years of persisting with this kit and all its problems, to revert to the use of a single amplifier and purchased a 60 watt Roland Cube, which was far more reliable and easier to transport to gigs. This has recently been replaced by a Fender Champion 40, which is lighter in weight and can produce a greater variety of tones. Other than a plectrum, the only stimulus I have always applied to the strings has been a shaped block of Perspex placed between the pick-ups. I do this to extract higher sounds near the bridge of the guitar. When I first started playing I was influenced by the French composer Francois Bayle and noticed that via electronics he could create bird like sounds. I can get similar sounds using the Perspex. Which living or dead artist would you most like to collaborate with? I am currently working on a solo album to be released on Confront Recordings in the near future. 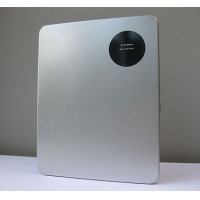 It is called ‘Now and Then’ and features various ‘constructed’ solo improvisations, in the sense that they are played with other people in mind, as well as recordings with people I have worked with over the years including Phil Wachsmann, Marcio Mattos, Trevor Taylor, Frank Perry and Nicky Heinen. 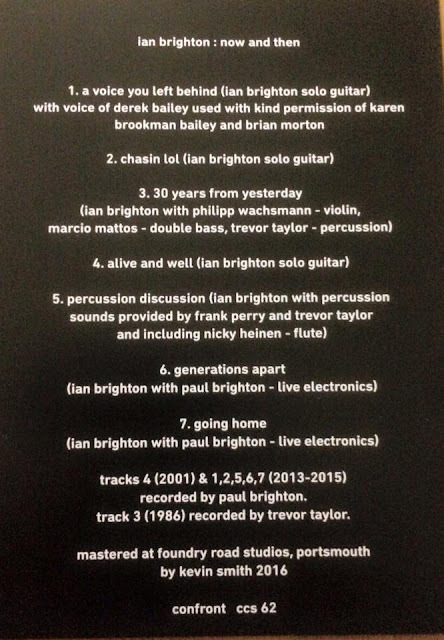 Also featured are recordings with contributions from my sons, James Brighton on clarinet and Paul Brighton on live electronics. Paul also recorded and produced the album. Spontaneous Music Ensemble/Orchestra. Ian Brighton, electric guitar; Roger Smith, acoustic guitar; Nigel Coombes, violin; Robert Carter, violin; Stephen Luscomb, violin; Lindsay Cooper, cello; Jane Robertson, cello; Colin Wood, cello; Marcio Mattos, bass; Angus Fraser, bass; Evan Parker, soprano saxophone; Trevor Watts, soprano saxophone; Bob Turner, soprano saxophone; Robert Calvert, sopranino saxophone; Dave Decobain, alto saxophone; Herman Hauge, alto saxophone; Ye Min, alto saxophone; Martin Mayes, french horn; Peter Drew, piano; Chris Turner, harmonica; John Stevens, percussion, cornet. John Stevens, percussion, cornet; Ian Brighton, electric guitar; Roger Smith, acoustic guitar; Nigel Coombes, violin; Robert Carter, violin; Stephen Luscomb, violin; Lindsay Cooper, cello; Jane Robertson, cello; Colin Wood, cello; Marcio Mattos, bass; Angus Fraser, bass; Evan Parker, soprano saxophone; Trevor Watts, soprano saxophone; Bob Turner, soprano saxophone; Robert Calvert, sopranino saxophone; Dave Decobain, alto saxophone; Herman Hauge, alto saxophone; Ye Min, alto saxophone; Martin Mayes, french horn; Peter Drew, piano; Chris Turner, harmonica. Musicians on track 2 unknown.